Burn Injuries From Fires and Explosions Can Lead to Painful Scarring, Physical Limitations, and a Lifetime of Emotional Trauma. To Mitigate the Long-term Effects of Your Injuries, It Is Important That You Discuss Your Rights With an Experienced Attorney. A car in flames on the side of the road. An explosion at a construction site. A house burning down to the ground. While we occasionally hear about these types of tragic events on the news, most of us never expect to endure such a tragedy during our lifetime. Unfortunately, these types of accidents are very real. Every year, many people suffer debilitating injuries and lose their lives in fires and explosions. Exposure to toxic and noxious chemicals can cause painful burns as well, and people who suffer chemical burns at work and at home will often experience a lifetime of pain and suffering. At Rue & Ziffra Law Offices, we provide experienced legal representation for victims of burn injuries and explosions. We have been serving residents of Volusia and Flagler Counties since 1976; and together, our attorneys have over 180 years of experience helping accident victims and their families recover just compensation for injuries from traumatic accidents. If you need help, or if you simply have questions and would like more information, we encourage you to contact us for a free, no-obligation consultation. We will arrange for you to meet personally with one of our attorneys, and we will make sure you have a clear understanding of your legal rights. Our Compassion. We do what we do because we believe in fighting for our clients. We provide caring and compassionate representation, and we get to know our clients personally so that we can seek maximum compensation for their accident-related losses. Our Commitment. We handle all cases on contingency, so you pay nothing unless we win. While most of our cases settle, we have a proven trial record and we do not hesitate to take our clients’ cases to court if necessary. Our Results. Over the decades, we have recovered millions of dollars in compensation for our clients. This includes numerous multi-million-dollar and six-figure awards. Our Team. We take a unique team approach that puts the full weight of our attorneys’ 180-plus years of collective experience on your side. Our Community Focus. Unlike larger firms with satellite offices in the area, we are local to Volusia and Flagler Counties. We have remained dedicated to serving our local community since we first opened our doors in 1976. While fires and explosions occur relatively infrequently, there are numerous hazards that can lead to these dangerous accidents. With our extensive experience in complex personal injury and wrongful death cases, we are able to represent clients who have suffered burns and lost loved ones in all types of serious and fatal accidents. Burns, fires, and explosions on construction sites can result from a variety of different factors. From toxic chemical exposure to suffering severe burns due to an electrical fire or gas leak, construction workers face a variety of risks. Should these risks become realized, any resultant injuries could entitle them to recover financial compensation. Dangerous and defective products are to blame for an alarming number of fires and explosions. Electronics and appliances can overheat without warning, vehicle defects can cause dangerous accidents, and various other types of products can cause burns even when being used as intended. Product defect cases involve unique legal issues, and at Rue & Ziffra we have the experience and resources needed to take on the major product manufacturers. There are numerous issues that can cause a fire in the event of a vehicle collision. While many fires are the result of vehicle defects, even a non-defective vehicle can catch fire under the wrong circumstances. Exploding airbags can cause burns and other serious injuries as well, and both drivers and passengers can suffer painful and debilitating injuries. 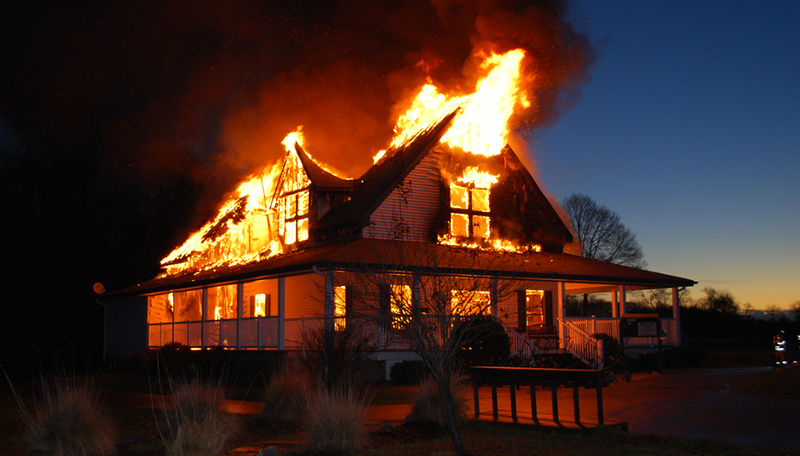 Residential house fires can have numerous potential causes as well. Gas leaks and defective appliances are common culprits, and defective smoke and carbon monoxide detectors can put occupants at risk for severe burn-related injuries. Chemical burns are painful injuries that can result from physical contact with a wide range of dangerous substances. Hydrochloric acid, hydrogen peroxide, lime, silver nitrate and sulfuric acid are among the most-commonly-used chemicals that can cause burns, and various types of commercial and household products include ingredients that can cause burns as well. Q: When can you file a personal injury or wrongful death claim for a fire or explosion? The second is known as “strict liability.” In cases involving defective products, manufacturers and sellers can be held “strictly liable” for injuries sustained as a result of the defect. This means that proof of negligence is not required. Q: Does insurance cover burns from fires, explosions, and toxic exposure? Generally speaking, yes. For purposes of seeking insurance coverage, burns are treated largely the same as any other type of traumatic injury. So, if you were burned in a car accident, you may be entitled to personal injury protection (PIP), uninsured/underinsured motorist (UIM), or bodily injury liability (BIL) benefits, or some combination thereof. Burns are also covered by workers’ compensation – and if a commercial property owner or business is liable for your injuries or your loved one’s death, your compensation will most likely come from the one of the company’s insurance carriers. Q: What types of compensation are available for burns in Florida? Calculating the full cost of traumatic injuries requires a comprehensive assessment of both the financial and non-financial impacts of your injuries or loss. If you choose our firm to represent you, we will work closely with you and our trusted medical and financial experts to make sure we seek the largest possible financial recovery. If you would like to speak with an attorney about your legal rights, please contact us to schedule a complimentary initial consultation. You can call (386) 788-7700 to speak with a member of our firm 24/7, or send us a message online and we will be in touch with you shortly.